Rockstar has confirmed that a beta for its Red Dead Online will begin later this week. Access to the beta will be staggered, with those who purchased the Ultimate Edition being ushered through first. ◆ Wednesday, November 28th: All players who played Red Dead Redemption 2 on October 26th according to Rockstar's data. ◆ Thursday, November 29th: All players who played Red Dead Redemption 2 between October 26th to October 29th according to Rockstar's data. ◆ Friday, November 30th: All players who own Red Dead Redemption 2. 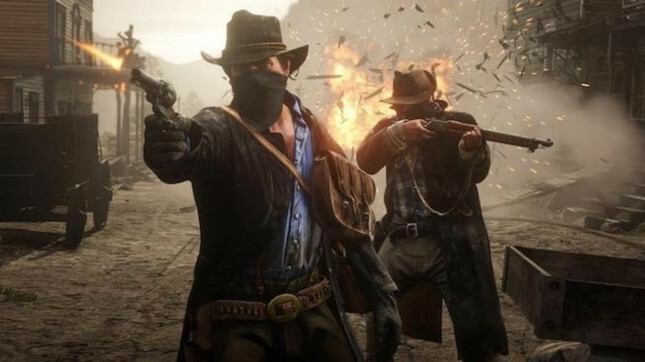 The online aspect to Red Dead Redemption 2 will merge "the classic multiplayer of the original Red Dead Redemption with the best of everything we have learned since then about creating deep multiplayer experiences," according to Rockstar. Details for the beta have previously been vague, with a timeframe only hinted at during an investor's earnings call. We were blown away in our review of Red Dead Redemption 2, with Chris scoring it 9/10 and calling it "the best open-world to date."